Ever dreamed of being whisked away to a surprise location aboard a luxury private jet? On July 4th, that dream may come true -- and it'll only cost you $4. To celebrate the birth of America, JetSuite is offering a number of last-minute trips for pretty much the cost of your morning coffee. No joke. While the company routinely posts cheap flight deals (known as SuiteDeals) on its Facebook page to help fill empty planes, they usually run around $536. On July 3, those prices will drop to $4. FOR THE ENTIRE PLANE. Yea, not just a seat -- you get the plane! As with everything in life, though, there's a catch. Because routes aren't confirmed until the day before, you won't have much of a choice as to where you're going. And you'll also have to figure out how the hell you're getting home from said random destination. 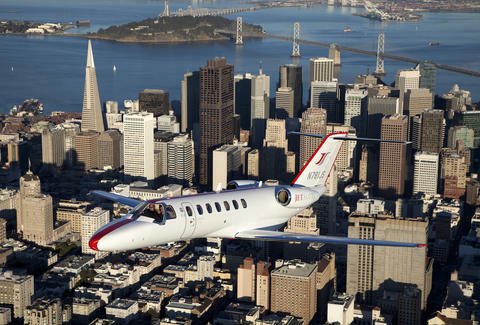 According to a company rep, sample routes are likely to include flights between cities like Washington, DC and Martha's Vineyard, Chicago and Nantucket, and Teterboro and Boston. Also, you'll have to be lightning fast. To score the deal, head to the company's Facebook page and website where the almost-free flights will be posted on July 3, the day before you'll be traveling. 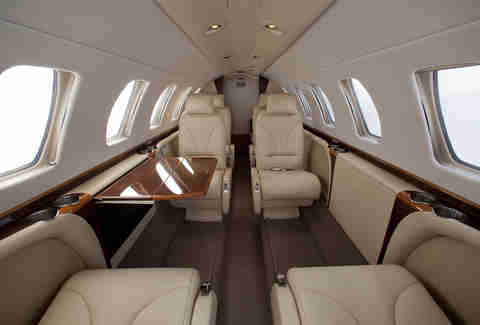 (To book, you'll still need to go through JetSuite's website). Either way, it's still a $4 flight on a private jet and possibly a once-in-a-lifetime adventure. Whether you still think so on your $25 Peter Pan bus ride home is another story.